As opportunities continue to open up and expand in the centre of New Europe, an increasing number of foreigners have arrived in Wroclaw to seek fame and fortune, new experiences and adventure. 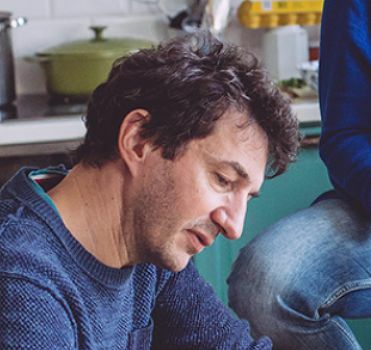 From the humble English teacher looking to learn the language and get to grips with Polish culture, to the quick-thinking businessman with the glint of gold in his eye, Wroclaw's expat community are a colourful mix of characters, enjoying their new lives in Poland. With an ever increasing number of multinational companies setting up shop here, there has also been a huge increase in salaried workers in Wroclaw plying their trades for the likes of LG Philips, Toyota, Whirlpool and Google. A vibrant academic and business hub, Wroclaw may have a relatively small population of around 640,000 people, but there's certainly plenty going on for the city's residents to get to grips with. The theatre may be the preserve of Polish speakers, but a visit to the Wroclaw Opera House can be enjoyed by all, and film-wise most of the city's cinemas screen films in their original language - so movie buffs can keep up with the latest releases. A host of modern art museums and cultural centres exist, the big players being BWA, Impart and Wro Art Centre, and add to them a score of scintillating festivals and you've got a lively cultural programme. Our events calendar is the best way to stay in the know in Wro! As far as eating and drinking are concerned, Wroclaw's ever expanding gastronomical realm is rich in treasures. Whilst Polish cuisine is of course the most prevalent, Wroclaw is a cosmopolitan place and that is reflected by the large number of Italian, Korean and Japanese restaurants (patronised by the large number of Italian, Korean and Japanese expatriots). In addition swanky bars are catering to the often fancier tastes of foreigners. Check out our nightlife page for more info. Other forms of entertainment in Wroclaw come is a diverse manner of shapes and sizes. Get out and about in Szczytnicki Park and the Japanese Gardens, admire the flowers in the Botanical Gardens, take a walk on the islands and the banks of the Oder, head over to Wroclaw zoo for a chat with the chimpanzees or get active with golf, go-karting or a swim at the aquapark. There's plenty more to do besides and if you're considering packing your suitcases for Poland then you needn't worry about becoming bored! Relocating to a foreign country can be a bit tricky to say the least, and for a flying start you may well want to get in contact with regional experts: PRO - Polish relocation office. These guys and girls can offer you all kind of advice and services, from helping you find a flat to navigating the nuances of Polish bureaucracy. When looking into moving your belongings to Wroclaw, you may want to look into international moving from Unigroup, who are experts in intercontinental moves. Of course nothing helps you settle in to a new city and a new life faster than making new friends. 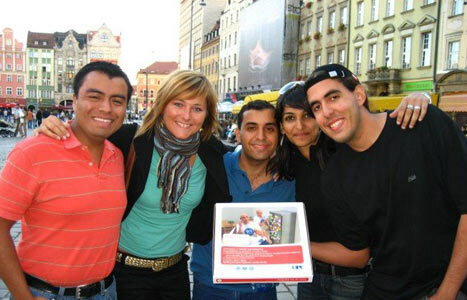 Contacting The International Friends of Wroclaw is a great way to start on this front and with well over a hundred families representing twenty five different nationalities, the chances are you'll be able to meet someone from your part of the world. For info about the city in English, best make Wroclaw Life your first point of call. And if you really can't find what you're searching for why not post a message on our forum... The answer is out there somewhere! Many expats who choose to live in Wroclaw work on a freelancing basis, but not everyone likes to be isolated at home all the time! Here are a few choices for "coworking" offices where you can rent out a desk and meet some new people! Cocobar is Wroclaw's premier option for freelance professionals looking for a modern, well-equipped, and central coworking space. Wroclaw is a beautiful city, full of trees, parks & beautiful architecture. There is a wonderful web of rivers and bridges running through the city which gives Wroclaw a very peaceful and natural feeling. They have kiosks offering free activities in the park for kids, like archery, balls, hula hoops, badminton etc. There is a popular puppet theatre as well as a merry go round in another of their beautiful parks. People are kind and the city feels a lot slower paced than most. It's a great city for families, I personally know a little family like yours who are foreign and have a very young boy. They are very happy in Wroclaw, have found a good pre-school school for him and are enjoying the lifestyle. I think you have nothing to worry about, this could be a very positive and exciting move for you and an opportunity to explore a new culture and a new part of the world! Hi everybody, my husband was offered a job in Wroclaw.We are planing to move in March, Im a bit upset, have to quit my job in my home country and my job is hr and migration related therefore i dont think I" ll be able to find a job there :( and being a housewife is not for me. What can be advised for me? I know russian and turkish. Relocating to Wroclaw for a year to start with next year 2017, and hope to continue for more years to come. Lawyer by Profession, I come from India. My proposed salary will be 6500 after tax deduction (gross). Though my employer says its good to lead de cent life for 2 person (me & my Husband) , would really appreciate if you can throw some more light. Thanks!!! Agreed with James below! As a new person to the city the website is great. There are loads of great things going on in the expat community right now - take wroclawuncut.com for instance. It's updated several times a week and is really good for knowing what's going on in the city. I am thinking of moving to Wroclaw as a system administrator for IBM. To be more precise as an AIX system Administrator. Can anyone give me an idea about the monthly expected salary or pay that I should expect after tax deductions ? Please an early reply would be highly appreciated. If you found out salary can u tell me also? Depend on your experience and expectations - it is not that easy but not impossible - both freelance and full time. Hi, I am currently in Wroclaw a lovely and vibrant city, i wondered what th chances would be of me finding a job here in Poland ?? Best place for all foreigners - Manana Cafe! Wroclaw is a great city to live and work in as an expat!